The American Medical Association on Wednesday urged the U.S. Justice Department to block the proposed $69 billion tie-up between CVS Health and Aetna amid speculation that federal antitrust enforcers will not challenge the deal. The AMA published an analysis concluding the merger would substantially weaken competition and raise prices in the Medicare Part D prescription drug plan and pharmacy benefit management services markets. It argued that while the deal is popularly labeled a vertical merger between companies that don't directly compete, the CVS-Aetna merger raises concerns specific to horizontal mergers in markets where the companies overlap, including the stand-alone prescription drug plan arena. Meanwhile, citing people familiar with the matter, Bloomberg reported Tuesday that the Justice Department does not have any vertical-competition concerns with the merger, which would eliminate one hurdle for CVS and Aetna. Instead, the antitrust enforcers are focused on how the merger will impact competition in the prescription drug market, Bloomberg said. The AMA analysis is complex, but the conclusions are clear. The CVS-Aetna merger would increase premiums in 30 of the 34 nationwide Medicare Part D regions, the AMA argued, citing research by University of California at Berkeley professor Richard Scheffler. The AMA also said the merger would reduce competition in the already concentrated PBM space, making it difficult for other companies to enter that market and result in higher prices for PBM services. CVS, Express Scripts and OptumRx dominate the PBM industry. Express Scripts is in the midst of a proposed merger with insurer Cigna Corp., and OptumRx is already owned by UnitedHealth Group, which operates the nation's largest health insurer UnitedHealthcare. Competition would further be reduced in the health insurance, retail pharmacy and specialty pharmacy markets unless blocked, the AMA argued. Its conclusions jibe with those in California Insurance Commissioner Dave Jones' letter opposing the CVS-Aetna deal. CVS Health and health insurer Aetna told Jones their proposed merger would yield $750 million in savings in its second full year and $2.4 billion annually by the fifth, but they didn't commit to lowering health insurance premiums, Jones wrote. 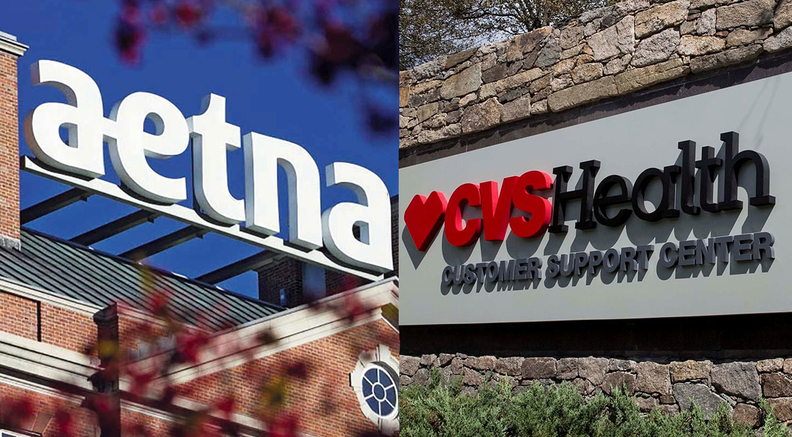 CVS and Aetna have said they disagree with assessments of the merger by Jones and others who spoke at a June 19 hearing on the subject.